Description: Gil Moore is owner of Canada's biggest recording studios, "METALWORKS STUDIOS" in Mississauga. In addition to the studios, Gil is the founder of Metalworks Institute for Sound and Music Productions and famously known as the drummer and vocalist of multi-platinum award rock band, TRIUMPH. Gil was awarded the "Mississauga Board of Trade - Lifetime Achievement Award" at the 55th Anniversary Masquerade Gala back in April. Recently Gil joined his bandmates from Triumph alongside with Alex Lifeson from Rush and James LaBrie from Dream Theater to record Rik Emmet's new solo album titled "RESolution9" at Metalworks studios. The album is set for release on November 11th. Also in the works is a documentary film of Triumph planned for release in 2017. Dianna caught up with Gil at his studio in Mississauga where she had an opportunity to chat about Metalworks and his faculty as well s Rik Emmett's new album "RESolution9". BEACH CORNER from Beach BOOSTER Radio! 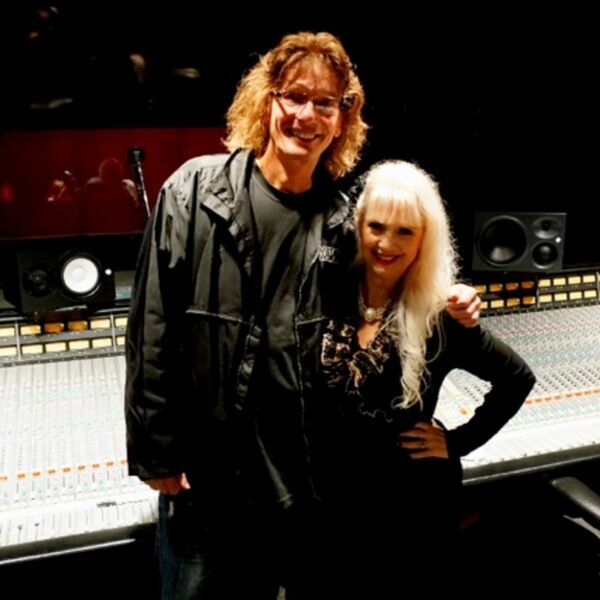 Gil Moore is owner of Canada's biggest recording studios, "METALWORKS STUDIOS" in Mississauga. In addition to the studios, Gil is the founder of Metalworks Institute for Sound and Music Productions and famously known as the drummer and vocalist of multi-platinum award rock band, TRIUMPH. Gil was awarded the "Mississauga Board of Trade - Lifetime Achievement Award" at the 55th Anniversary Masquerade Gala back in April. Recently Gil joined his bandmates from Triumph alongside with Alex Lifeson from Rush and James LaBrie from Dream Theater to record Rik Emmet's new solo album titled "RESolution9" at Metalworks studios. The album is set for release on November 11th. Also in the works is a documentary film of Triumph planned for release in 2017. Dianna caught up with Gil at his studio in Mississauga where she had an opportunity to chat about Metalworks and his faculty as well s Rik Emmett's new album "RESolution9". BEACH CORNER from Beach BOOSTER Radio!